Free Zodiac Compatibility Horoscope for Combination of the Gemini with the Zodiac sign Libra. 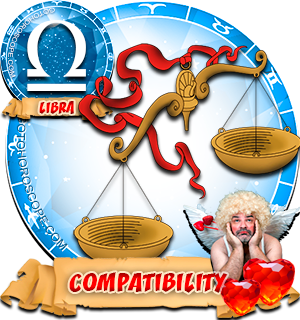 Compatibility Horoscope for Combination of Gemini and Libra Zodiac Signs. The relationship of this couple cannot be called any other thing than 'breathtaking'. 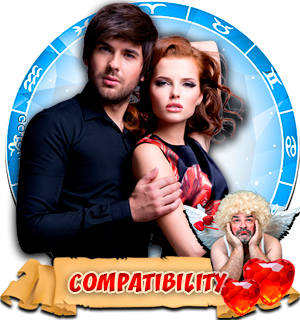 The compatibility horoscope gives them many chances for a successful continuation of their dating and creation of a family, but this must be accompanied by efforts from both of them. They both have ease in communication and amazingly flexible logic, that having met, they will want to talk to each other constantly, practicing oratory. These zodiac signs have one element - Air, making their relationship just flying and air-borne. The two happily talk, they find it interesting being together, they are equally slim, beautiful, smart and sociable at parties and in public. People around would think that they are a perfect couple that can be envied with happiness. They are the same in a desire to have personal freedom, as well as personal space, and they respect the opinions of each other. The Libra woman, just like the zodiac sign Gemini, loves freedom but also loves a quiet cozy rear - family nest to which she occasionally comes back to rest and meditate. These two are drunk with happiness because their interests totally coincide, and they feel no infringement of their personal independence under life together. But as it turned out, the Libra woman and Gemini man have different ideas about freedom. Libra seeks to create a house and home, where everyone will have their rights and freedoms of his or her territory, while the Gemini man sees freedom as the absence of rules and responsibilities entirely. After a while, it will happen that the Libra woman will wait for her husband at home, and the Libra man will once again be delayed by friends and forgets to call her. They seem to balance on the patience and feelings of each other, testing the strength of their feelings, and to some extent, have their breath taken away; dizzy from positive and negative emotions engulfing them. Unfortunately, these emotions have little to do with trust and passionate love. 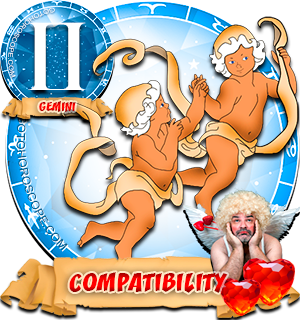 According to the compatibility horoscope, a union between a Gemini man and a Libra woman, unfortunately, is unstable - it is volatile and weightless as their protector element - the moving Air. Gemini man and Libra woman can create a strong union if they would allow themselves to restrict a certain degree of freedom. They have the same interests, they will not be bored together, they can achieve great things both in family, relationships and in business or art if they create a harmony of relationships within the family and allow each other to be on equal footing. Hopelessly in love with a Libra woman right now. She makes me feel like a little school boy again, and though I love it it also gives me a proper fright. She�s quite a wild card, unpredictable. Never a dull moment with her, and the attraction was instant. I just went on my first date with a Gemini man and was taken back by his charm, good looks, intelligence and great sense of style. He did say he never wants kids or wants to get married. I was married for 12 years before my divorce and we had two beautiful daughters together, so that is not an issue. He is also a sweet talker, keeps me blushing.. He makes me smile. With both of us divorced, right now it is all about having fun, laughter and living life to the fullest, even if we end up as friends. I dated a Gemini man for 8yrs waiting for him to pop the question but it never came. He was and still is the love of my life. I think about him constantly and dream about him all the time. We are still pretty good friends and he will drop everything to do for me if I need it. Sadly to say, I have moved on and married and have a child, but this love does not compare and we are about to divorce. And my Gemini friend found him someone and says she's pregnant but he's not happy happy like when we were together. I think he is settling due to me moving on but maybe somewhere down the road, we can pick the pieces up and put back together what we had. We both know that we are soulmates but I dont know if he wants to try again or if he is content with his new girl. I guess time will tell. I do know he drops everything to talk to me or help me out any way he can. He's my love forever and always! Libra woman here, married to a Gemini man for 30 years... 30 years of bliss before his untimely passing... if you are a Libra woman, know that a Gemini man is perfect for you!! a great husband and the best father!! WOW Donna .. you are a lucky women.. sorry to hear your loss but you've had 30 years together. I have just got to know a Gemini man .. we are much older so don't know if we will live to see 30 years together but I sure hope we do.... I find him everything that I will ever want and need.